Fuel prices affect all of us as it dictates the price of our food, our chews and how far our human mums and dads take us places for our walks. So it is great news to see both petrol and diesel below one pound a litre once more. Looking back at our archives, forecourt prices are almost the same as 10 years ago when diesel was 90p per litre. According to the latest AA petrol price report (Dec 2015) supermarket pump prices have fallen to their lowest since August 2009. Compare that figure to the report from December 2013 when Scotland recorded a diesel price of 139.4ppl. That is a drop of almost 40p in just over two years. The price of oil dropped to its lowest level in 11 years earlier this week when it fell to around $33 per barrel prompting speculation that charges at the pump could fall lower. 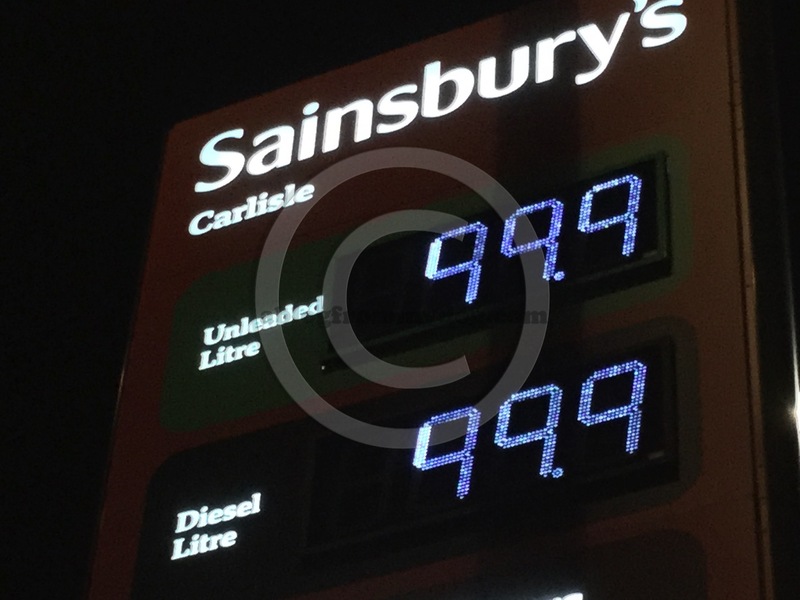 Some analysts are even suggesting as low as 90p per litre. According to the BBC Oversupply of oil globally is the cause , lowering crude prices on average by 70% compared to June 2014. So could we see prices fall to 50p per litre ? Well, according to The Telegraph newspaper this seems impossible once taxes are taken into consideration. The article says that according to the UK Petroleum Industry Association, on average a full 62% of the pump price of petrol and diesel in the UK was made up of excise duty and VAT in 2014. It also goes on to explain that according to the RAC, even if the fuel was free, no charge was made for delivery and retailers didn’t take a margin, it would still cost nearly 70p a litre to fill up, based on today’s pump prices, all of which would go straight to the Treasury. So it would seem that prices much below 90p – or should that be 89.9p – would be remarkable – but stranger things have happened?